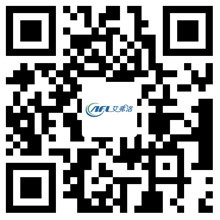 Maintenance of EC Axial Fans to Work Properly - Hangzhou Airflow Electric Appliances Co.,Ltd. In the cooling and ventilation, we often use an EC axial fan to cool the heat exchanger through the air. For compact systems, the best attempt and test option is the outer rotor motor, the axial fan blades mounted on the rotor. In addition to the compact size, the fan in such an application is expected to produce high air performance under minimal noise. So far, fan blades are usually made of steel or aluminum. In order to meet the strict requirements of the optimal efficiency of sound behavior, we emphasize the development of new geometric shapes of the blade. EC axial fans in the factory ventilation frequency is very high, in order to allow the axial fan to normal performance, extend the life of the fan, usually need to be maintained, then as an ordinary user, we can do their own axis Is the maintenance work of the flow fan? If you can do so, how can we maintain the EC axial fan? EC axial fan in the work need to use electricity, the fan after a period of time, to check the detection circuit is safe and normal, check the wires are rat bite break, tear, leakage and other phenomena, the switch is normal, if found wire Circuit aging, switch failure, etc. to be replaced in time to avoid burning the motor. Ventilation in the air there will be dust, EC axial fan in the course of the use of dust dirt sticks on the fan, the fan of the chassis, fan and other components in a timely manner clean cleaning, to avoid dust and dust to increase the fan motor load, Affect the fan ventilation effect and service life. In order to ensure that the EC axial fan in the course of running a good lubrication, refueling is essential. EC axial fans of the inlet and outlet must maintain a smooth ventilation, within 2 meters without obstacles.